Bassmaster Elite Series anglers Aaron Martens, Randy Howell and Brent Chapman have teamed up to launch a new for print only magazine, Bass Quest. The 80-page high-gloss, full-color magazine will be less than 10 percent advertising in the first issue and all issues in the future. Although, all future magazines will be print only, the first issue is available to view online. To view the first issue or to subscribe, visit BassQuestMagazine.com. Bass Quest is offering anglers who subscribe before Jan. 2, 2013 the first issue autographed by all three professionals. Perhaps one of the best anglers to opine on west coast spotted bass is none other than Aaron Martens. With five Bassmaster and one FLW win to his credit, this 2005 Bassmaster Angler of the Year is a master when it comes to catching spotted bass. Growing up in California and having fished some of the greatest spotted bass lakes in the west, the 39 year-old pro began fishing team and club tournament at the age of 15. Fast forward to today, and Aaron now resides in Alabama where he’s closer to his destinations in the Bassmaster Elite Series events. Martens is quick to point out the major difference between east coast and west coast spotted bass fisheries – the size of the lakes. “The east coast lakes are larger, shallower, and more stained than in the west, and the east coast lakes get more extreme weather conditions, generally have more current, and the forage for bass is more diverse and complex than west coast lakes,” summarizes Martens. The west coast has a number of spotted bass lakes but Aarons’ favorites are Lake Shasta and Lake Oroville. “These are two of the most beautiful lakes I have ever fished and you can catch a bunch of quality spots on both.” Another place Martens mentions is a little lake called Pine Flat Lake where in 2001 the world record 10.27 pound spotted bass was caught with a Yamamoto Senko during a tournament by angler Bryan Shishido. but what we do, that is the measure of the man. but what we give, that is the measure of the man. but what we help others with, that is the measure of the man. I certainly want to thank you for your more than generous $15,000 donation to Tackle The Storm Foundation, but more so my friend, I want to tell you what it means. I would do so on the phone. I would do so in person. I would do so eye to eye. If I could do so without breaking down. The only way I can thank you, is through the keyboard, writing late into the night, early morning. The only way to really thank you, is to tell you what your gift means. Means not to the Board of Directors. Means not to your fans. Walk with me through fields of destruction, Aaron, help me untangle a child’s tiny jeans from the clutches of a barbed wire fence. Rob Melendez – A day fishing with Martens himself. The real winner of the contest, however, was the Tackle the Storm Foundation. Martens had promised to donate at least 25% of his winnings to this great cause, so Tackle the Storm won $15,000! 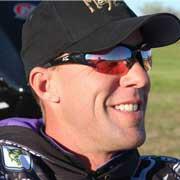 BASS Elite angler and winner of BASS All Star Weekend Aaron Martens is this week’s guest on Tournament Fishing Radio. Martens won the All Star event, besting Edwin Evers for the top spot on the finale day. Martens is know as an innovator and finesse fishing genius. Bassmaster Elite Series pro Aaron Martens visited the B.A.S.S. headquarters on Wednesday, Oct. 10, following his victory at the 2012 Evan Williams Bourbon All-Star Championship. Click the above image to view the slideshow. If Aaron Martens wasn’t fishing professionally, he’d choose some other exciting profession, he said today during the B.A.S.S. Twitter chat. In fact, he’d like to be president of the United States! This question was one of 85 shot at him during a rapid-fire Twitter chat. The 2012 Evan Williams Bourbon All-Star Championship winner gave up all kinds of information about himself — including a couple of honey holes that he’d said he would rather have kept to himself! Posted by adminon October 10, 2012 October 12, 2012 Posted in NewsLeave a Comment on Martens for president?